QUESTION: Mr. Armstrong; What you are saying is there is no diplomacy that would work and that the only real player here is regime change and that is in the hands of the North Korean people. So what is your advice to Trump? ANSWER: Forget the trying to talk reason or my arsenal is bigger than yours. Yes. Diplomacy is dead in the water. The only way is for Trump to get on his knee and beg forgiveness. This seems to be what the Democrats want and then they will bash the Republicans in 2018 with it in the elections. So lets get realistic here. Trump’s last statement was : “We will see what happens. We think that lots of good things can happen and we can also have a bad solution. ” There is nothing else he really can do. So why all this blaming Trump? We are dealing with a dictator who is playing straight out of the old Marxist Play Book of the Cold War. The Venetian Empire eventually crumbled by the same strategy of divide and conquer turning neighbors against neighbors. 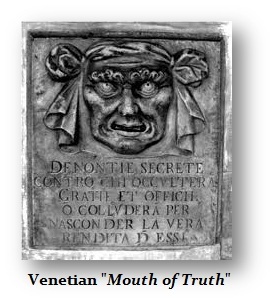 It was called the Mouth of Truth. Anyone could drop a slip upon anyone else and accuse them of whatever. They were immediately seized and assumed to be guilty. Kim Jung-un maintains power in this classic manner. He has turned North Koreans against each other. Everyone is afraid to speak freely for being turned in. I have written before that I went behind the Berlin Wall before it fell with a friend to visit his family trapped there. We took a walk and his cousin would always be looking around. She would speak truthfully only when nobody was in listening distance. As soon as anyone came near, she would immediately go into a skit of how great it was to live there and how wonderful the state was to take care of them. Those in the West have no concept of how evil a state can become. I have warned that revolutions come from the left because that is where dictators are born with the desire to rule people. The right fosters the drive to freedom and the desire to be left alone. The notorious Stasi secret police of East Germany is notorious for surveillance and dividing the people turning man against his brother until there is no single opposition against the state. When the wall came down, the extent of the secret police operations targeted against their own people was mind-blowing. 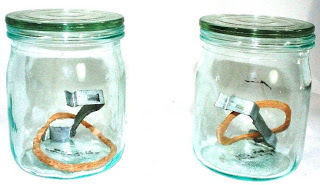 What surfaced was their “smelling jars” collection. Yes, the Stasi used odor recognition to keep tabs on anyone they suspected. The Stasi often collected the samples covertly by breaking into homes to stealing a suspects’ used underwear. They then kept them in jars in case they turned up missing to hunt them down. It is quite possible that Kim Jung-un has employed the same tactics that have existed throughout his dynasty. Quite frankly, diplomacy NEVER worked with the Soviet Union until the state could not economically function. Sanctions can perhaps help speed-up that process if 100% enforced, but it is something that is inevitable and therein lies the danger. The people of North Korea have to rise up against the Secret Police. The frustration of the people will explode at that moment and we will see a period of wholesale lawlessness. As familiar social and political institutions fell in East Germany, crime erupted almost overnight and the policing system in East Germany could not cope with the dramatic change causing the police to collapse. Then the Wall fell. 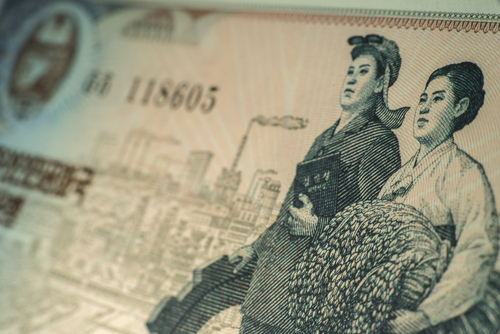 A close look at the fall of East Germany is a guide to how North Korea will fall. History repeats BECAUSE human nature is the same throughout centuries regardless of culture or language. People will respond the same way no matter what. There were local East German elections on May 7th, 1989 which were rigged but perhaps more obvious this time. Small demonstrations followed were quickly dispersed with Brut force by police and the Stasi, but this time the dissatisfaction did not simply subside as usual. 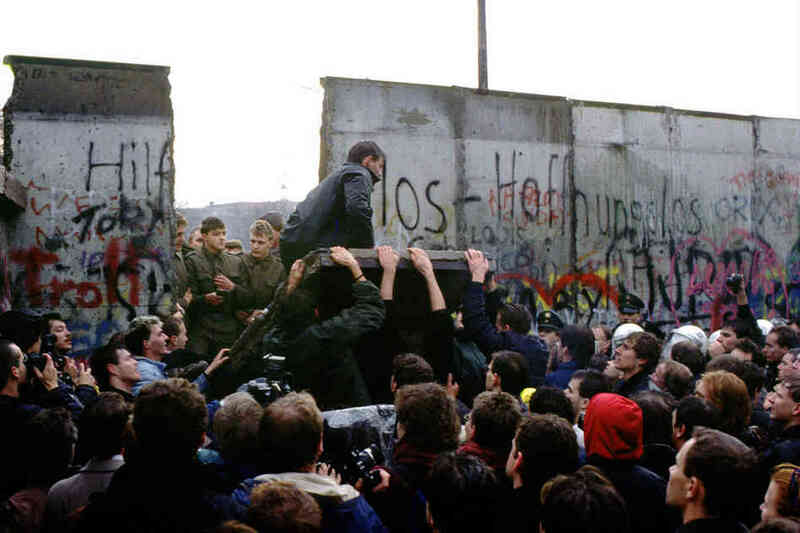 It continued to foster for 186 days (26.5 weeks) until the Berlin Wall fell on November 9th, 1989. During 1988, reformers inside the Hungarian government opened their border to the west and allowed Hungarians to leave for Austria. Then in 1989, Hungary began allowing East Germans on Hungarian soil to leave for Austria as well. Czechoslovakia blocked East Germans from fleeing to Hungary. The government in Prague was holding firm to communism. During August of 1989, East Germans began seeking refuge in the West German embassy in Prague. In August, there were thousands of them, camped out in the cramped confines of the embassy grounds. Czechoslovakian authorities tried to stop any more from coming into the city, but that effort failed. Therefore, during August of 1989, as East Germans began storming West German embassies in Prague and Budapest in hopes of receiving asylum in West Germany, this made the West German television, which was watched by almost all East Germans. When the people saw the stampede, only then did the atmosphere within East Germany start to explode. Now large demonstrations began to take place in Leipzig during an international trade fair in September 1989. Again they were broken up with sheer force by the police and Stasi. It was then in September 1989, that the Hungarian government simply opened its borders and East Germans began to pour out of the country by the tens of thousands. It was against this backdrop that the East German government prepared to celebrate the country’s fortieth anniversary on October 7th – a day that would truly be remembered in the Communist world. It was October 7th and 8th that became East Germany’s “revolution.” On these two days, the East German state collapsed. The Soviet Premier Mikhail Gorbachev, became a symbol of hope to many East Germans, and the events in Hungary with the storming of the West German Embassies in Prague and Budapest were now the catalyst for large-scale protests throughout the country. On the 7th, a huge spontaneous demonstration erupted with several thousand East Germans pouring into the center of Berlin that nobody had seen since the 1950’s. The East German police had been prepared for weeks to expect “counter-revolutionary” actions by “enemies of the state” to protest on October 7th. However, the police officers never saw such a crowd. They had no idea how to deal with any sort of mass protest where they were confronted with the hostility of thousands of very angry citizens. Both police and Stasi were involved in the operation where they did beat and arrested more than 1,000 people. The police stations and prisons were overwhelmed. The protesters were denied everything including foo and the use of toilets. It was October 9th, 1989 that became the crucial turning point in this fostering revolution. In Leipzig, a traditional prayer service turned into a demonstration by 70,000 as reported in Spiegel on October 16th, 1989. The East German army and all security forces had been mobilized, but the crowd was massive. For the first time in East German history, the Stasi backed down and did not break up the protest probably due to its size. This marked the beginning of change in East Germany and the victory over the state succeeded in 155 days (22.1 weeks) 0.424 (about 43% of a year 1/2 of 8,6 cycle). Meanwhile, on November 4th, 1989, the Czechoslovakia border was opened for East Germans, even while it still stood as a barrier to the citizens of Czechoslovakia themselves. Just five days later, on November 9th, 1989, the Berlin Wall fell. 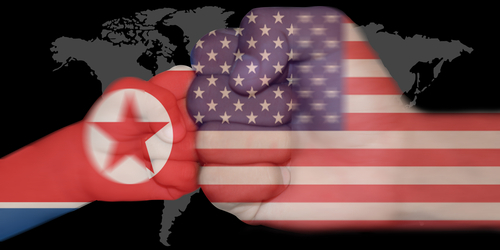 The lesson that we have to draw here is not diplomacy, but the North Korean people need to know they can rise up and win. Such revolutions take place very rapidly. Here we saw East Germany fall in just 26 weeks. The strongest weapon is information. The news has to focus on the people and what they stand to gain. Show how China is now the second largest economy and Chinese tourists have replaced Russians and Japanese everywhere around the world. Give the people hope, Kim gives them oppression. His Marxist handbook is outdated. The tilling the soil and slave of the state has come to an end globally. If we look at Ukraine, we see that on January 4th, 2013, the daily Komsomolskaya Pravda Ukraine, reported that Yanukovich mentioned three priorities in his country’s foreign relations: the country’s presidency of the Organisation for Security and Cooperation in Europe; the signing of an Association Agreement with the EU; and the development of “close partnership” with the Customs Union between Russia, Belarus and Kazakhstan, as well as with other organisations that he did not name. This raised the hopes of the people. I reported in December 2013 how corruption of the police in Ukraine was staring to come to a head. It was being exposed how they even killing people with no accountability. The week of August 19th, 2013 in Ukraine, appears to be the turning point. Based upon sources, this was not merely when American National Security Agency whistleblower Edward Snowden was granted a one-year temporary political asylum in Russia and leaving Moscow’s Sheremetyevo Airport on August 1st, 2013, but this was the catalyst for a change in mind of Yanukovych to back away from the Association Agreement with the EU, which was being hotly negotiated in January 2012 and was initialed on March 30th, 2012 in Brussels. Now, by November 30th, general public support grew for pro-EU anti-government protesters as images of them bloodied by police crackdown spread online and in the media. 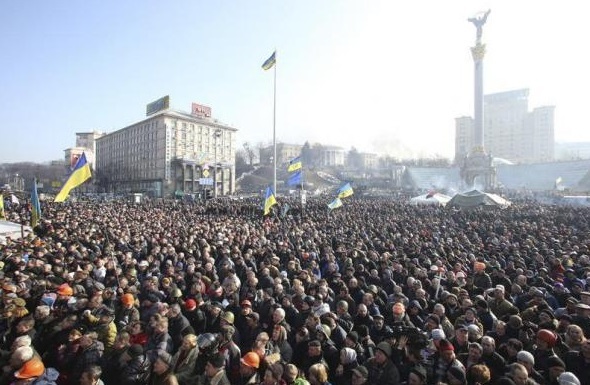 Then on December 1st, about 300,000 people protested in Kiev’s Independence Square known as Maidan. One December 17th, Putin announced plans to buy $15bn in Ukrainian government bonds and a cut in cost of Russia’s natural gas for Ukraine to try to help the government. Yanakovich outlawed the formation of any crowds. Again, on the 16th anti-protest laws are passed and quickly condemned as “draconian” and the on the 22nd, two protesters died after being hit with live ammunition. A third died following a fall during confrontation with police. Then as the pressure kept building from the people, on January 28th, Mykola Azarov resigned as Ukraine’s prime minister and the parliament repealed the anti-protest laws that caused the demonstrations to escalate in the first place. On January 29th, a bill was passed, promising amnesty for arrested protesters if seized government buildings are relinquished. Then on January 21st the opposition activist Dmytro Bulatov was found outside Kiev after being imprisoned and tortured for eight days, apparently at the hands of a pro-Russian group. This merely intensified the protests and on February 16th, the opposition activists ended their occupation of Kiev City Hall in exchange of 234 jailed protesters. Yet more street clashes continued leaving at least 18 dead and around a hundred injured and then on February 18th, major violence began when protesters attacking police lines after the parliament stalls in passing constitutional reform to limit presidential powers. Protesters took back the government buildings. Then on the 20th, Kiev saw its worst day of violence for almost 70 years. At least 88 people were killed within 48 hours. Footage showed government snipers shooting at protesters from rooftops, yet nobody would ever be prosecuted. Protest leaders, the political opposition and Yanukovich agreed to form a new government and hold early elections by May 25th on February 21st. Yanukovich’s powers were reduced sharply and the parliament voted to free Yulia Tymoshenko, the former prime minister, from prison, which it had refused to do as a demand by the EU in signing the Agreement. 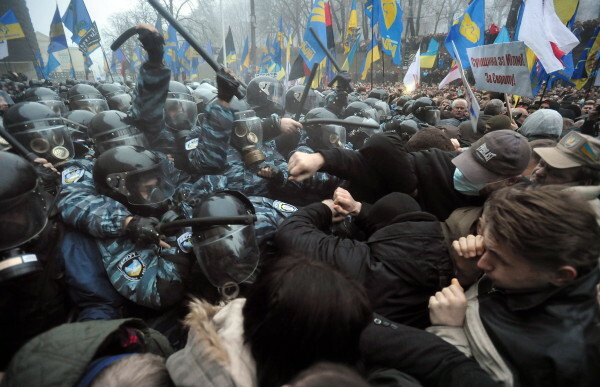 Yanukovich flees Kiev after protesters take control of the capital. Finally, on February 22nd, the Ukraine politicians vote to remove Yanukovich and Tymoshenko was freed from prison speaking to those gathered in Kiev. On February 23rd, pro-Russian protesters begin to rally in Crimea against the new Kiev administration. The next day, the Ukrainian interim government drew up a warrant for Yanukovich’s arrest. While Ukraine left the Soviet Union on Sat., Aug. 24, 1991 (1991.6465753), here we find from start to finish was 26 months from the first step to open up with the EU. Here the pretend analysts all claimed that Ukraine was a CIA plot demeaning the people of Ukraine for their uprising. Yes, the US was in there as was the EU trying to hand pick their own leaders. But the uprising was that of the people. That is the only thing that changes the real balance of power. In this case, from the first protest on November 24th to the removal of Yanukovich, it was 91 days or 13 weeks. Once again, the Revolution Cycle can take place in as little as 13 weeks or twice as long to 26 weeks. The point is – things can happen fast if the people become inspired. My advice – talk to the people not Kim.